Two sets of ministers have shown that they might scuttle even the little institutional developments that the Government has managed. Last week and this week we report stories from Kampiringisa in Mpigi District, respectively, where completion of Government projects would benefit the country, if well handled. 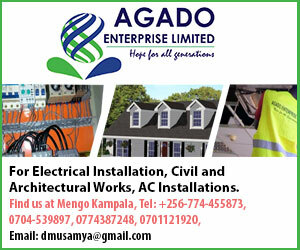 However, in Soroti as the university is about to open, it has emerged that three former ministers are involved in a hijack of part of the university land. The effect of it is that it has prevented the constructors from completing the construction of some of the university structures. This will likely spiral the costs to the university. Another cost to the university is the needless spending on paying for land that is its land; that these former ministers want to hijack. Moreover, the worst effect of the greed is that if they are not stropped, they are likely to affect the opening of the university. Many young men and women will be affected. This is despite the President of Uganda ordering them off the land. The issue of the other set of ministers in the Kampiringisa National Farmers’ Leadership Center (NFLC) is also distressing. When the South Koreans offered to construct the center, they were very unequivocal that, the method with which the Asian Economic Tiger used to achieve its growth was by concerted community involvement. To show their seriousness in the matter, their former President Park Gun-hye, was on hand to inaugurate the center; and the ambassador handed over the finished institute to the political officials of the Government, but with a warning. He said that with Ugandans, they are likely to leave the institute to fail because of lack of seriousness. With our politicians, it is even worse; because of the manner of ascending to political office today is through bribery. The moment they get there, they want to recoup the money they used in buying the voted to “win”. And that is the root cause of all Uganda’s problems! The Soroti and Kampiringisa situations are merely two sides of the same coin. 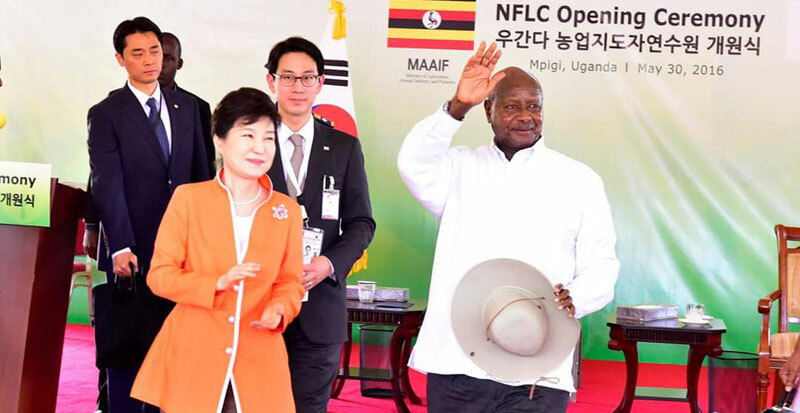 In the one case, the reprimand by the South Koreans, who have donated the institute, will likely fall on deaf ears when the Ugandans see that the “food on the table” is a lot. In the other, the politicians, who have lost the “table”, are now involved in snatching away even the little “food” that should be left for their “children”. Meaningful Ugandans should not allow this greed to persist!